GROMOTTHAN VIDYAPEETH is located in Sangaria Rajasthan . GROMOTTHAN VIDYAPEETH is registered as a Society at Jaipur of state Rajasthan with Ngo unique registration ID 'RJ/2009/0023197' . 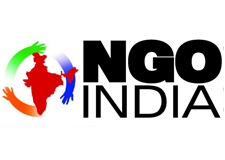 The NGO registration is done by Registrar of Societies with registration number 209 of 1956-57 on the date of 24-12-2009, Its parent ORganaisation is PaulFoundation. The Chairman of GROMOTTHAN VIDYAPEETH is Abhay Singh Choutala and Chief functionary officer is Abhay Singh Choutala. The instituation turn since 1917 in rural area and literate in the field of Agriculture, Teacher training, Science, Computer, Animal Husbandry etc. This is exmple of Hard work of a Sant named Swami Keshwanand.